A quick and easy way to cut mild steel sheet up to 16 swg (1.6 mm). 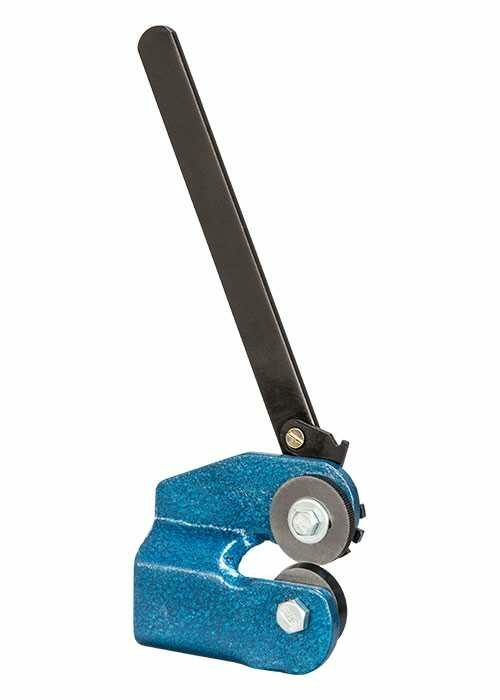 Once mounted onto a bench, the long ratchet action handle produces a controlled rotation of the cutting wheels to cut straight, curved and internal corners. 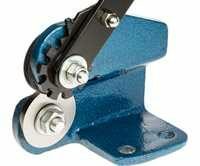 The serrations on the upper cutting wheel pull the metal through once the cut is started. The Mini Sheet Metal Cutter will cut Mild Steel, Stainless Steel, Brass, Copper & Aluminium.